We all love and want long lustrous voluminised hair, but it’s a lot to upkeep with. There are many treatments in the market, which can get a little heavy on the pockets. If you have grown with your grandmothers around you; I am sure you have heard them saying oiling, hair masks, eggs and curd are good for your hair; but some ingredients are difficult to deal with. Well that’s true! Today we are listing some of the common hair concerns, using simple ingredients from your kitchen. 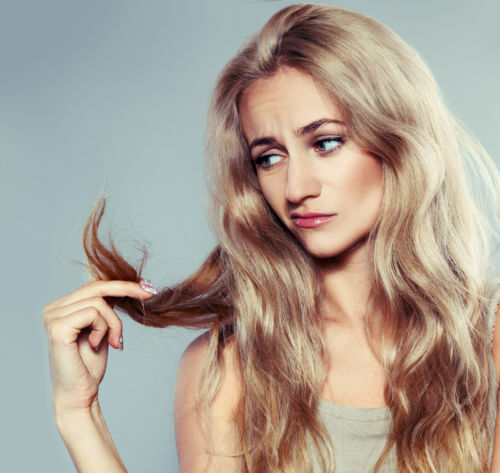 Dry hair is very common these days, and there are many factors that cause dryness or dullness. The most common and obvious reason is dust, pollution, using hair styling tools and sprays. Combat dry hair with Olive Oil. Olive oil is a rich source of vitamin E and antioxidants. The oil penetrates in the scalp and locks the moisture in the cuticle. 1. In a bowl, take enough oil according to the length of your hair. it’s not piping hot, but lukewarm. 3. Apply the oil thoroughly over your scalp and hair shaft. 4. Wrap your hair with a hot towel. Leave it on overnight or at least 30 mins. 5. Wash it off with mild shampoo. Oily hair can be a little annoying. You don’t wash your hair for a day forget two and your hair gets so oily and greasy that you could fry chips. The only cause of oily hair is that it produces excessive oil production. It gets really difficult to wash your hair daily, especially if you have long hair. Say goodbye to oily hair with Apple Cider Vinegar. This helps to balance the pH level of the scalp and controls oil secretion. 1. Add two to three tablespoons of apple cider vinegar in one cup of water. 2. Rinse your hair with this post shampooing your hair. 3. Wait for a few minutes and wash it off with cold water. 4. Repeat this two to three times a week. Split ends can ruin your hairstyle. That tiny unmanageable hair flies just peek out from every corner. The main reason for this is excessive exposure to sun, pollution, dust and harsh chemicals. Mayonnaise is the solution. 2. Leave it on for 20-30mins. 3. Wash it off with cold water and mild shampoo. 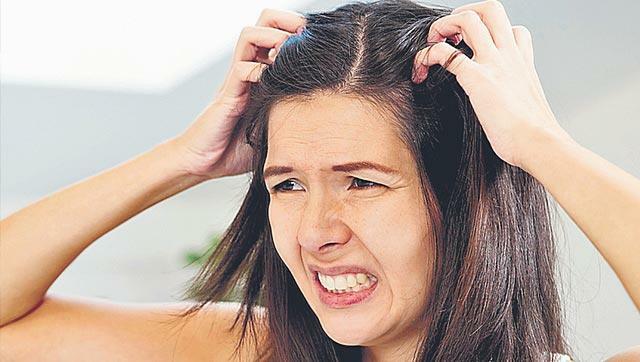 Dandruff is caused by the unhealthy or unhygienic lifestyle. It happens due to the growth of fungus, bacteria, dryness and excessive washing. Baking Soda is an ideal way to scrap off these irritating flakes. This removes the dead cells and excess oil. 1. Wet your hair and rub some baking powder onto the scalp. 2. Leave it for two to three mins. 3. Rinse it with cold water without shampoo. 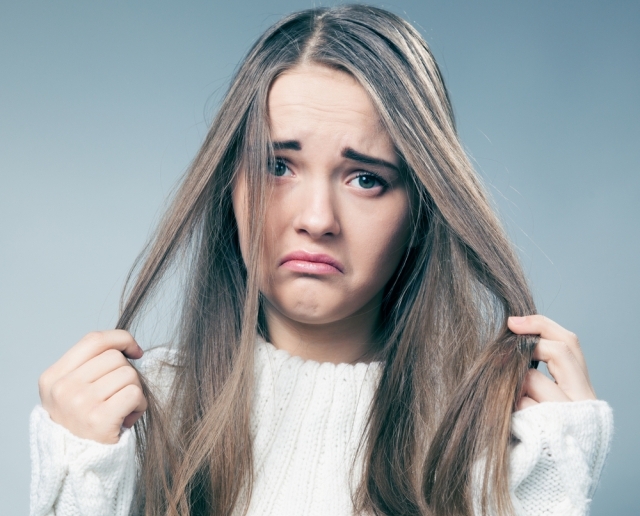 Hair fall is caused by many factors. It can vary from hormonal change to weather change. Fight hair fall with Coconut Milk. This is a rich source of vitamin E and potassium, which promotes hair growth. 2. Wrap a towel without disturbing it for 20 mins. 3. Rinse it with cold water and shampoo. Previous : 8 Attitude Tees That You Should Own! Next : What!Pulkit Samrat & Yami Gautam Rumors Were Publicity Stunt!